 Healthcare Mobile Apps Made Easy - ONRAD, Inc.
HealthLeadersMedia | If there’s an opposite of a smartphone, my dumb phone would be it. It’s a flip phone without a screen on the outside, without a camera, and without a hint of modernity. As time goes on, I am feeling the pressure to upgrade in order stay connected and hold my head high in my community (especially as a journalist). From what I’m hearing, physicians and marketers are feeling the same way. Seventy-five percent of physicians in the United States have purchased an Apple mobile device such as an iPad, iPhone, or iPod, according to a Manhattan Research survey of 2,041 physicians during the first quarter of 2011. As price points drop and popularity for these products increases, there is an opportunity for healthcare marketers to take advantage by creating their own applications to promote their products and services via iPads and smartphones. Richard Oehler, MD, associate professor of medicine and director of clinical education for the division of infectious diseases and international medicine at University of South Florida (USF), co-developed a smartphone app in 2009 later formatted to be iPad-compatible in 2010. USF promotes the app through the IDpodcast.net website, word of mouth, blogs, and prepared fliers handed out at conferences. On average, the app receives 50 downloads a week and about 600-1000 downloads a year, Oehler says. When choosing a developer to help design and build the app, Oehler researched both local vendors and those with a larger national presence. He ended up choosing a local vendor to create the app. New York University Langone Medical center found a similar challenge in searching for the right developer for the NYU Physician app. The goal of a free app is to extend the reach of the magazine at a lower-per-issue cost. Deborah Sabalusky, public relations coordinator, NYU Langone Medical Center told HealthLeaders in an email. The app is promoted through NYU’s internal newsletters, the table of contents page of the NYU Physician print magazine, and the back cover of the NYU alumni newsletter.